Braulio Castillo and His Company Will Regret SEO — Will You? Here’s a friendly heads up: If you claim to be an injured war veteran and take benefits from people who have actually made sacrifices, well, you’re a scumbag, Braulio Castillo. You deserve everything of what’s coming. What’s coming, you might wonder? It’s pretty easy to ruin a professional reputation online due to knee-jerk stupidity (just ask “fail whale” Geoffery Miller, Ph.D.). It’s another thing to underestimate how long it will take to clean up your mistakes online. 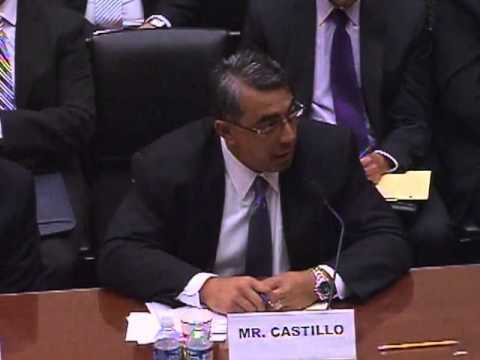 The words “Braulio Castillo” and his contractor companies “Signet Computers” and “Strong Castle” will suffer in an attempt to outrun to the long arm — not of the law, but of search. Castillo said this regarding a prep school football injury. The truth is, online content doesn’t die very easily. Especially when it is reported widely and linked through and between high-authority sites. That’s really bad news. Create New Content — Lots of It! Hire a spin doctor PR agency — likely a very expensive one — to give you brand new positioning in the form of a New Image. (Tip: Playing the “victim card” probably won’t work for you again, Castillo.) Then, create a bunch of content showing what an upstanding citizen you really, truly are (befitting New Image). Make sure you produce content that shows you petting puppies and/or kissing babies. Both are recommended, especially if you can do it at the same time! That stuff is shareable! Now, don’t limit yourself to just video. You need audio, podcasts, PDFs, infographics, the whole lot. This is war, Castillo, war! You know all about war, right? Rinse and Repeat. Sure, there are sites that offer to help you “repair” your online reputation. Those work really well for burying photos of collegiate keg stands. But you? For something like this? You’re in what’s called a bag of dicks. You’ll need a full-out multimedia, multi-channel, multi-year content strategy to repair your search situation. Sorry, I won’t help you. That’s it. Simple stuff, really. Quality content. Lots of it. Get started on that search repair strategy stat! Otherwise, you risk a life of social judgment, eating beans and motherf*****s!